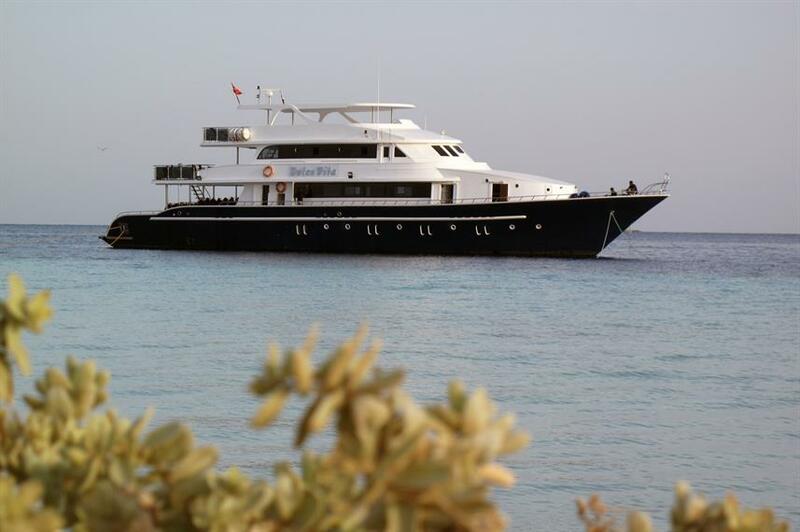 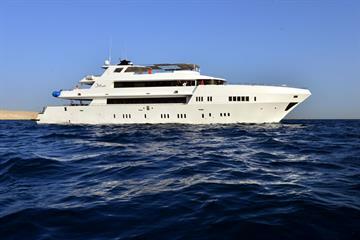 The 38m modern and contemporary Dolce Vita liveaboard safari boat offer year-round diving in the Red Sea. 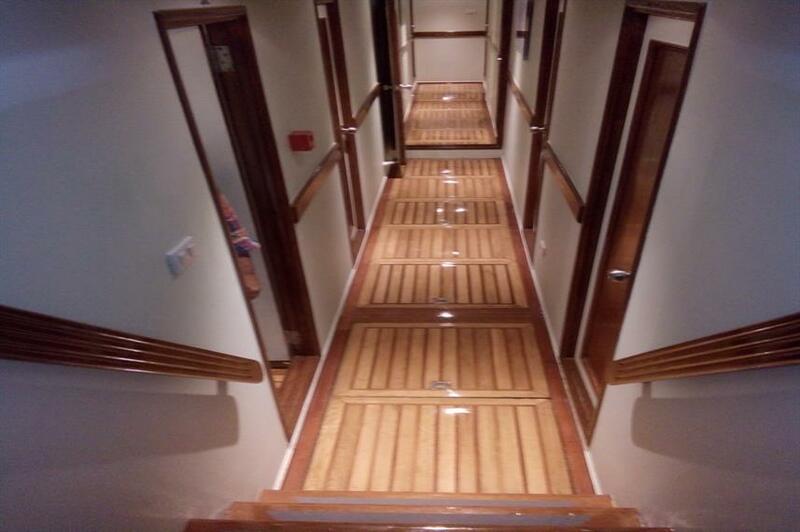 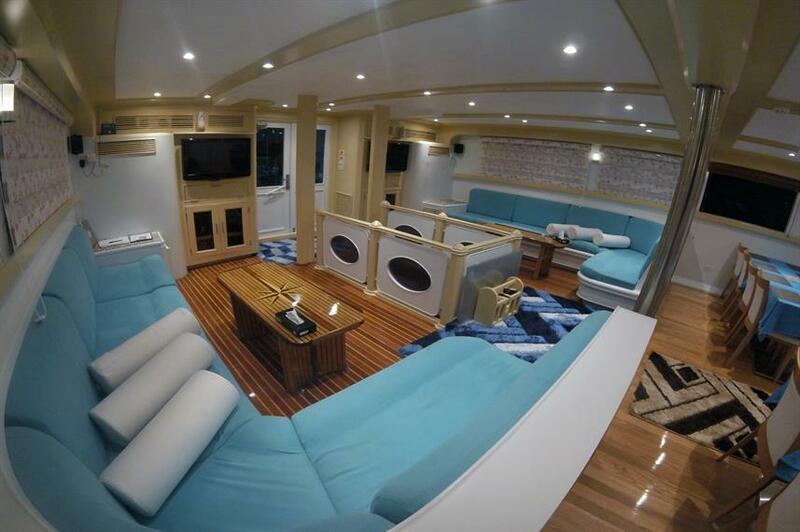 Completely renovated in 2018, she accommodates 24 guests in 12 cabins. 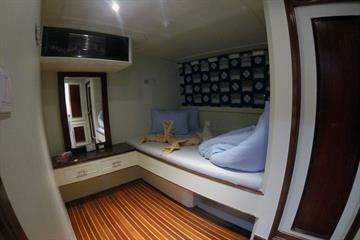 Each cabin features an en-suite bathroom, storage space and AC. 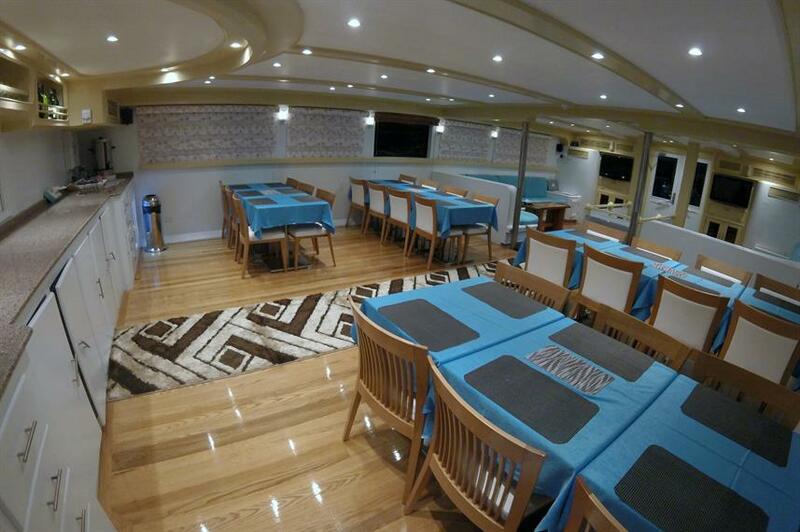 Social areas include a bright indoor dining room, salon and bar. 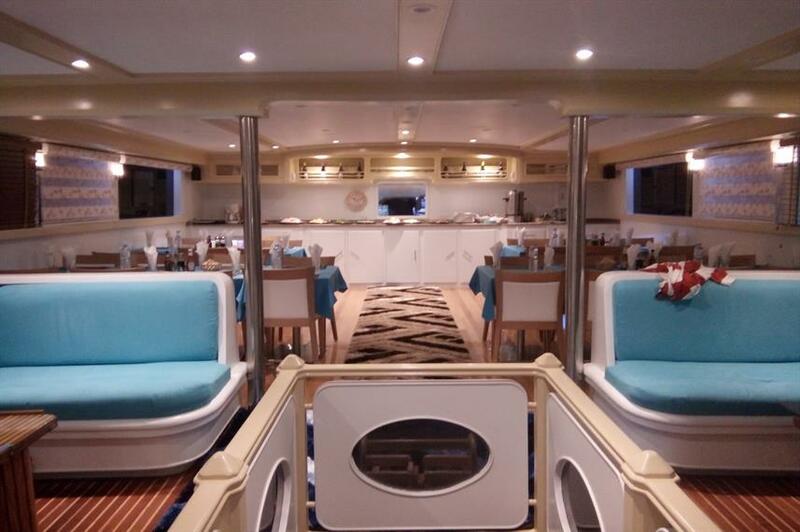 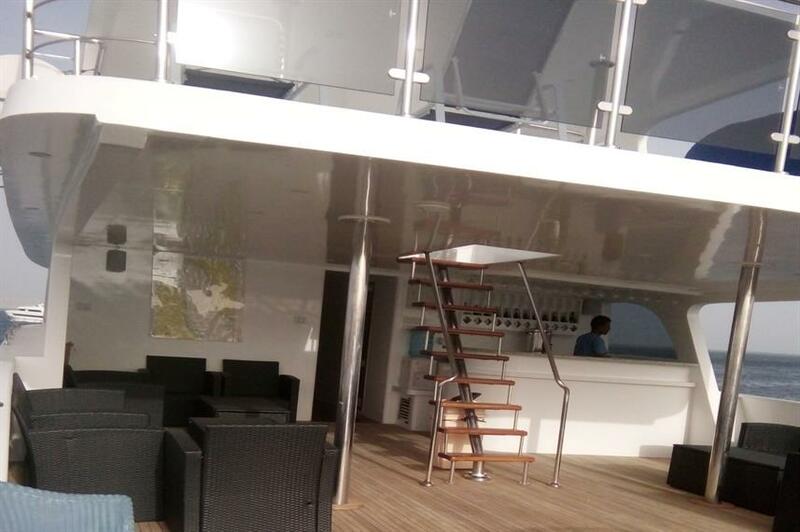 On the upper deck is an open-air salon and bar, great for relaxing at the end of a day of wonderful Red Sea diving. 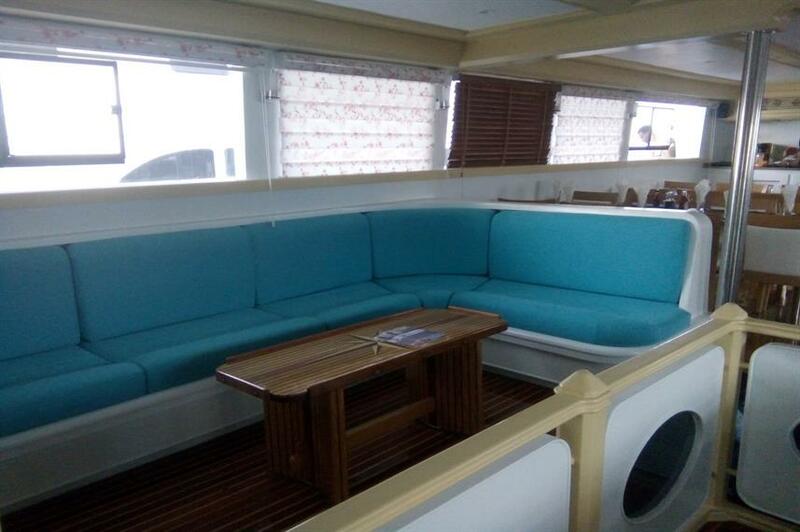 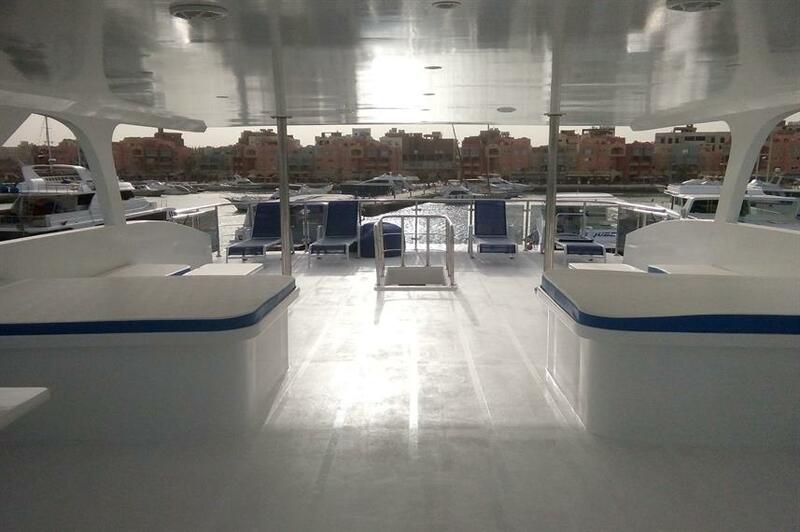 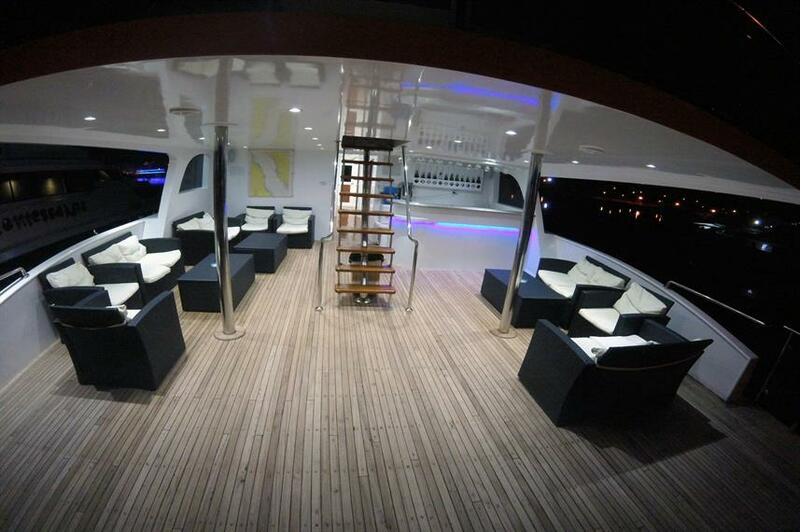 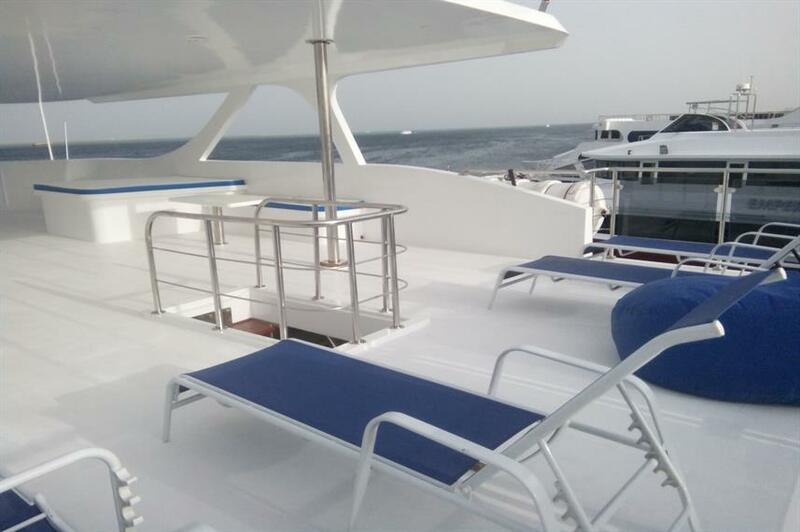 The top deck is home to a further outdoor lounge and sun deck, to soak up the rays in between diving. 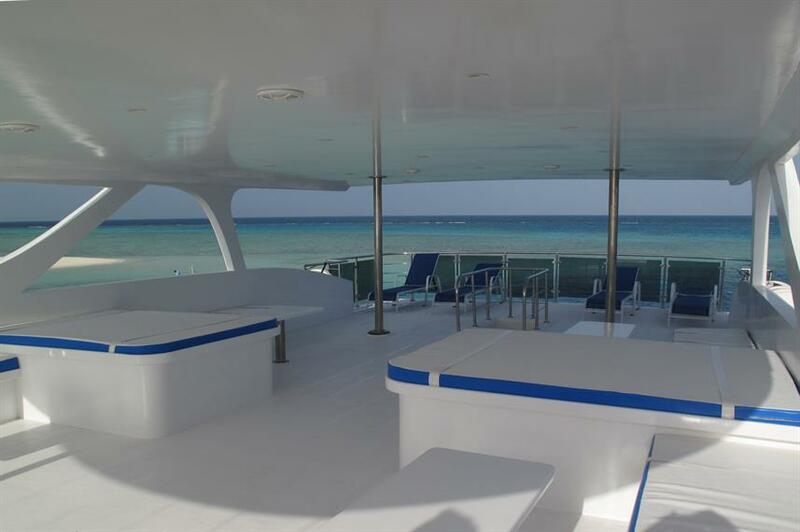 The spacious dive deck and platform make kitting up and getting to the dive sites easy. 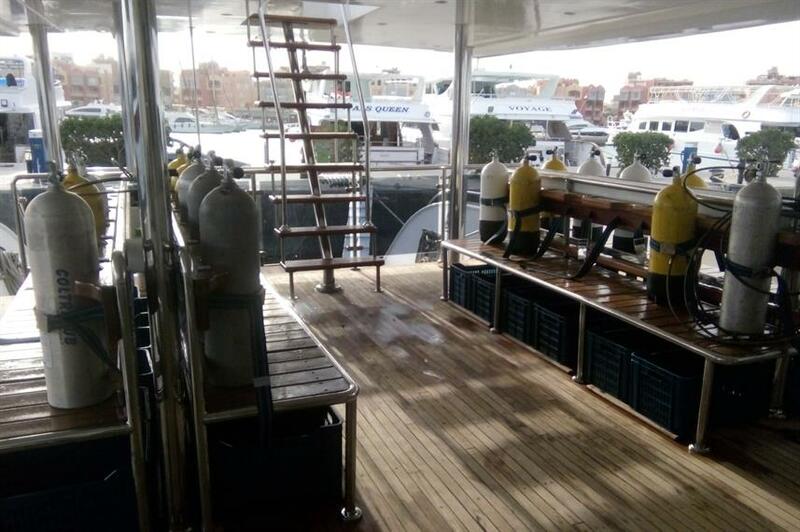 Nitrox is available for those certified, and there is ample room for gear storage, rinsing and camera equipment. 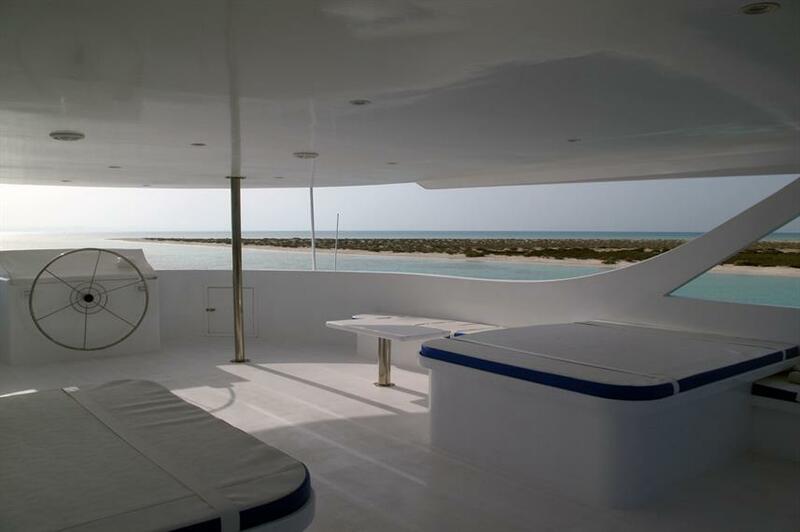 Dive routes covered by the Dolce Vita yacht include the popular 'B/D/E' or Brothers, Daedalus & Elphinstone route, with the chance to see hammerhead sharks, oceanic whitetips and stunning walls. 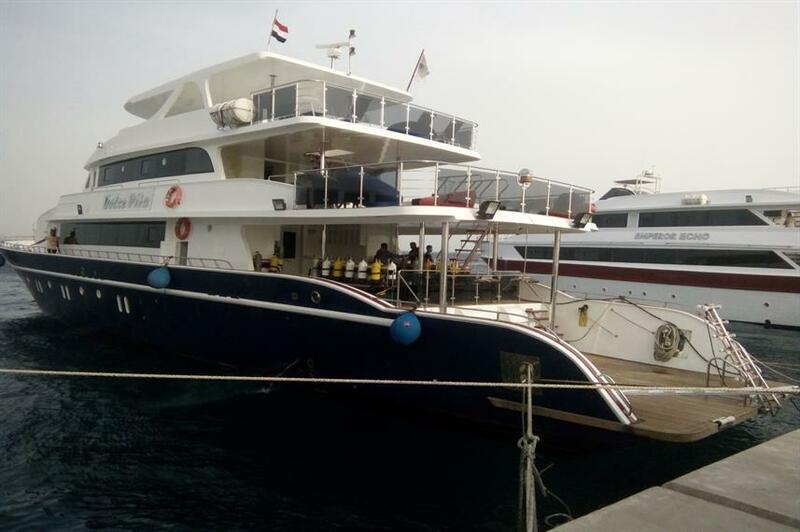 The 'Gold Route' is a fantastic choice for divers that want to dive the northern Red Sea, including the Brothers, Ras Mohammed and the Thistlegorm. 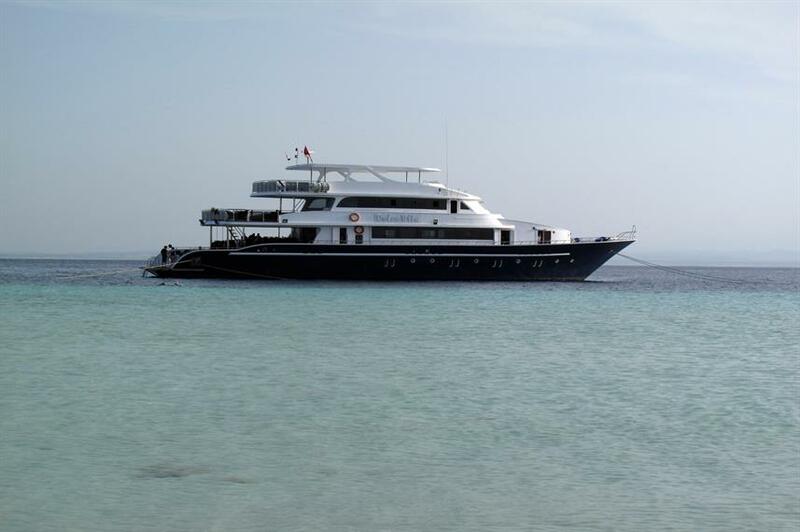 Or for divers who want to take in the best of the Red Sea, the 2-week 'Simply the Best' itinerary is a fantastic option. 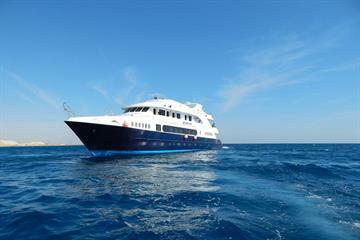 Make the most of your time in Egypt and dive from the Sinai peninsula and beyond. 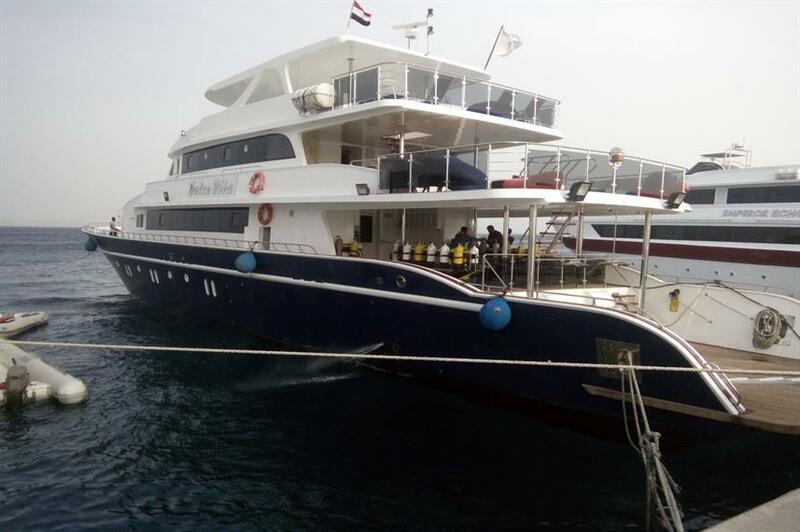 To book a Red Sea dive safari aboard the Dolce Vita liveaboard call us or book online today to reserve your space. 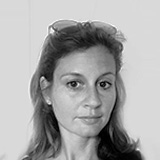 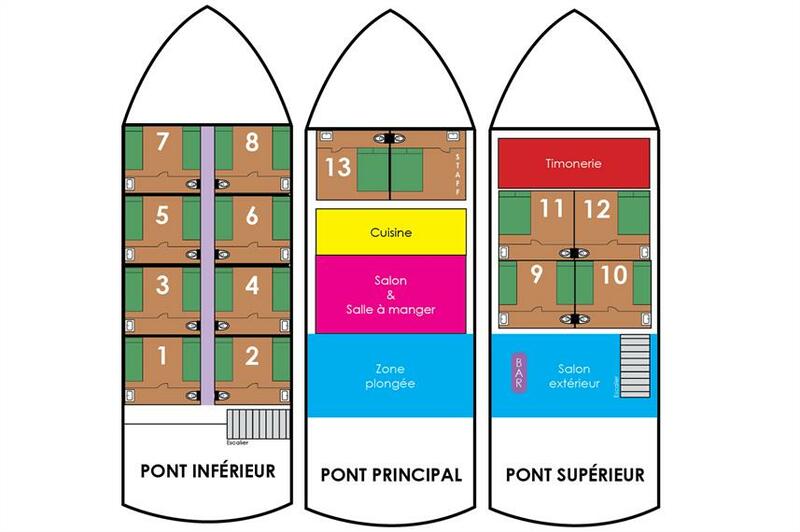 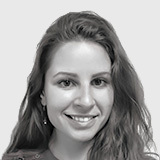 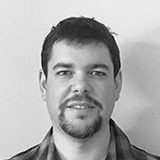 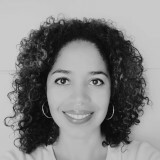 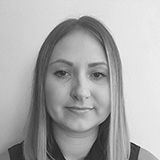 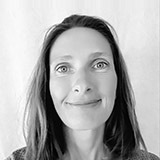 Inclus: TVA, Transfert aéroport, Eau potable, Thé & café, Barbecue sur plage, Collations, Formule repas pension complète (tous les repas), Pack plongées, Plongées supplémentaires, Excursions terrestres, Produits de toilette offerts, Serviettes de cabine, Serviettes de pont, Wi-Fi. 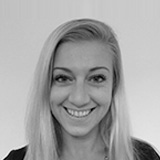 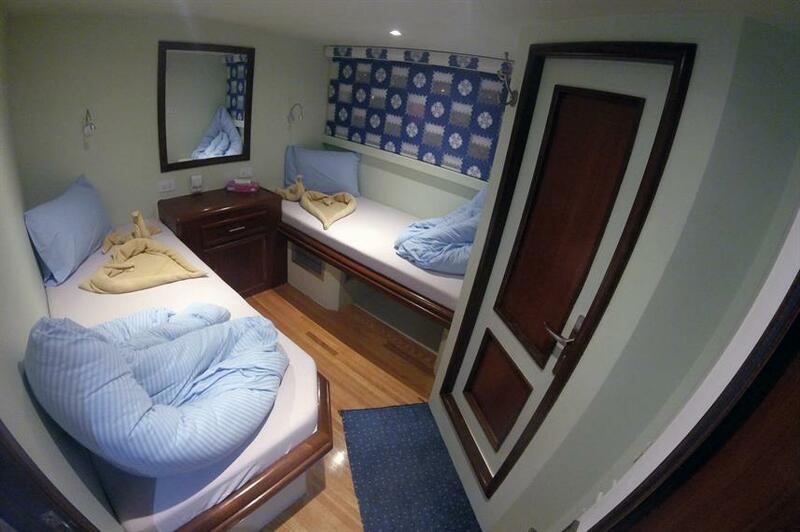 Extras obligatoires: Visas et frais (32 EUR par voyage). 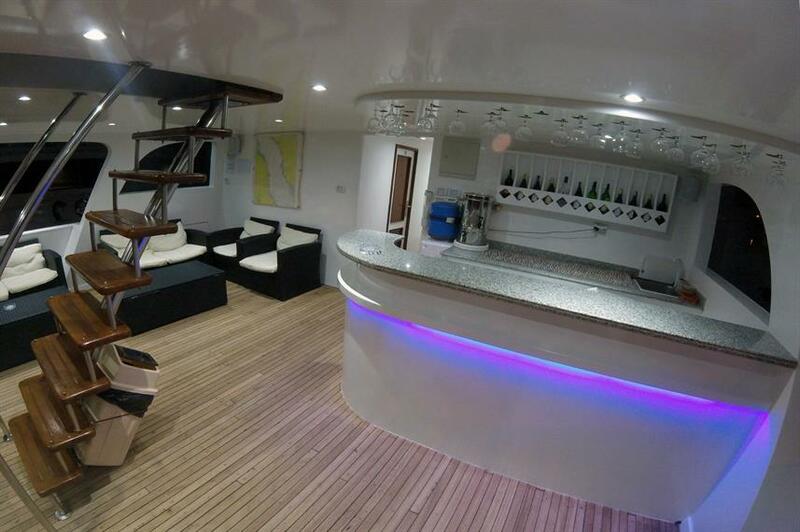 Extras en option: Assurance plongée (7 EUR par voyage), Frais de caisson (7 EUR par voyage), Pourboires (30 EUR par voyage), Boissons alcoolisées (4 EUR par élément), Boissons non-alcoolisées, Vin au dîner (30 EUR par élément), Brevet Nitrox (130-245 EUR), Brevets plongée sous-marine (55-320 EUR), Guide de plongée privé (5 EUR par activité), Matériel de location, Service blanchisserie / repassage, Massage. 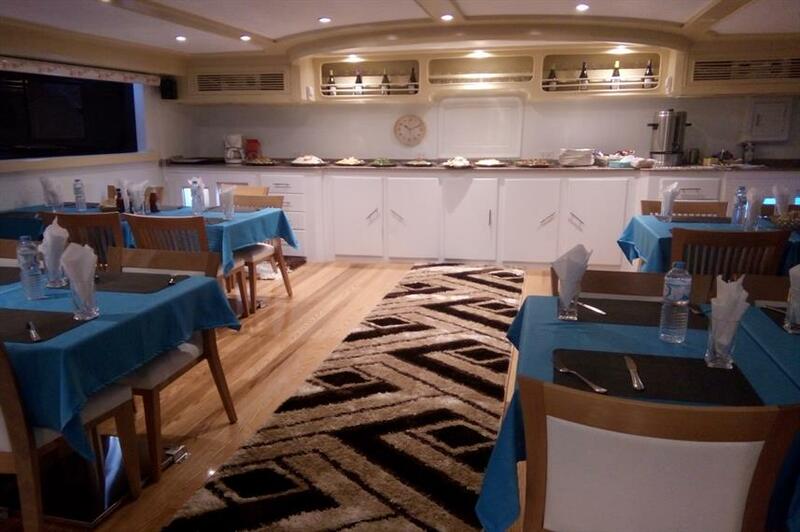 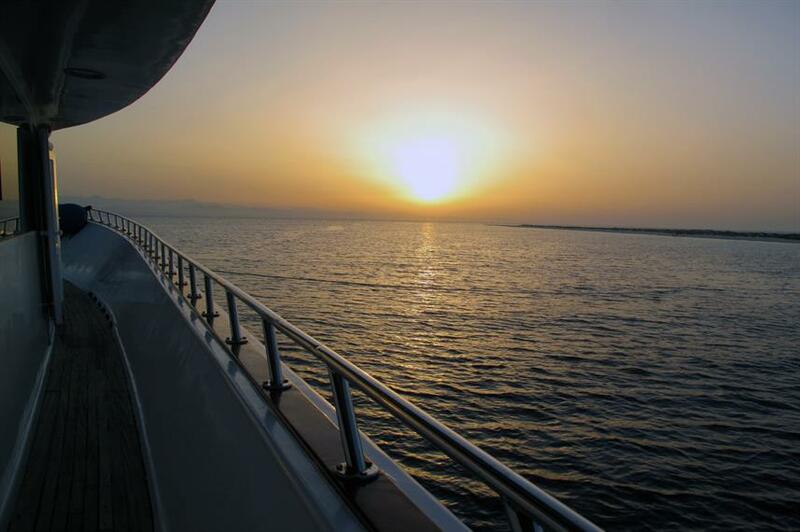 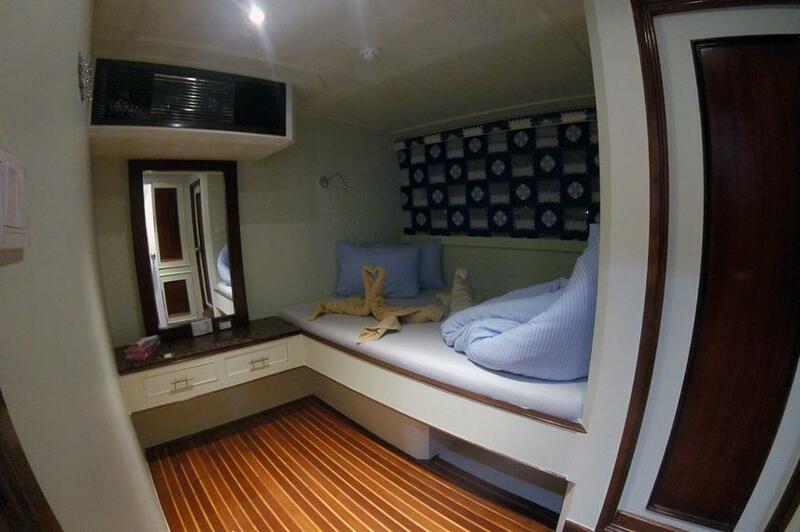 There are 12 cabins on board Dolce Vita, each are equipped with aircon and en-suite bathroom.